Home » Can Olive Leaf Promote Fat Loss? Can Olive Leaf Promote Fat Loss? The olive tree is better known for bearing olives and helping to produce olive oil, but its leaves have been added to supplements in recent times. 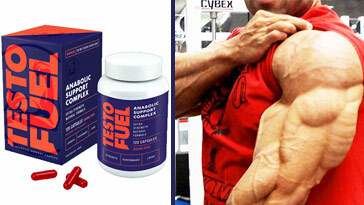 Everyone is willing to add many things to their meals or try crazy fat loss diets in order to shred unwanted fat. Chillies are known to deliver thermogenic effects that boost your metabolism, but one lesser known ingredient is Olive Leaf. 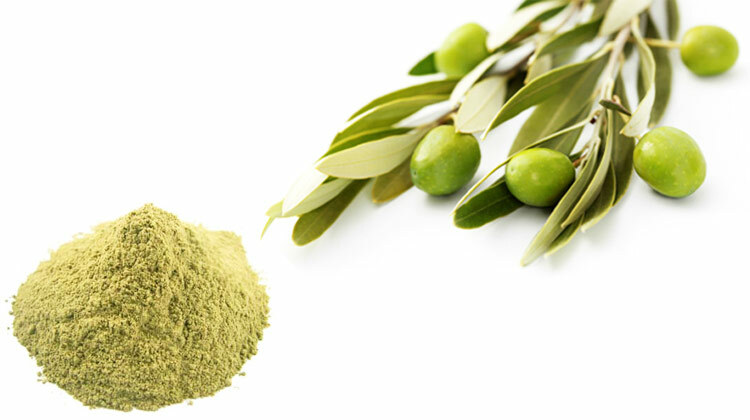 Olive Leaf Extract is becoming a more common addition to fat burner supplements. 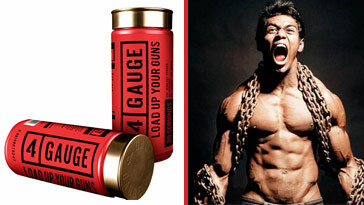 But does it actually help you lose body fat? We’ll answer this question, along with many others in this article. Does It Promote Fat Loss? 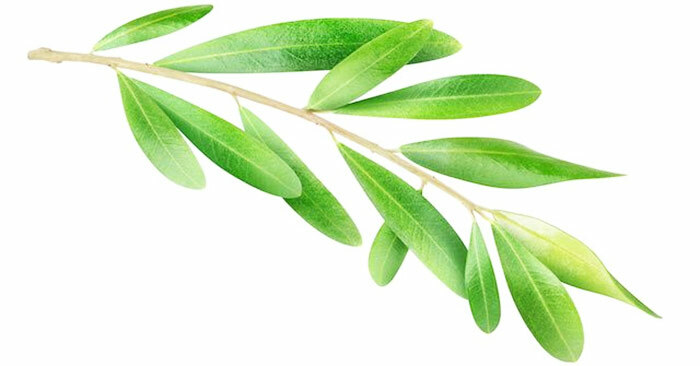 Olive Leaf is literally the leaf of the olive tree (the same tree that produces olives). These leaves are known to be between 4-10cm in length & 1-3cm in width and possess a bitter taste. While Olive Leaf can be eaten whole, it’s most commonly consumed as part of supplements as ‘Olive Leaf Extract’; this contains concentrated amounts of olive phenolics, which has been attributed to reducing cholesterol levels and improving blood pressure. So it comes as no surprise that Olive Leaf has a long history of being used as medicine . Although, it’s only recently that Olive Leaf Extract has gained traction for its supposed ability to help you lose body fat. We’ll take a look at whether it actually works below. Olive Leaf contains several active compounds that are linked to fat loss, so it’s no surprise that companies have started to add Olive Leaf Extract to fat burner supplements. 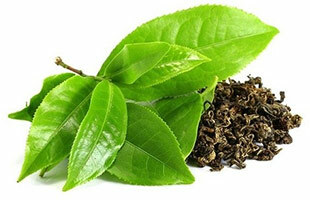 Interestingly, catechins are also found in Green Tea Extract, which is what helps make Green Tea a thermogenic . However, Olive Leaf Extract hasn’t been known to possess a significant amount of catechins, instead containing more olive polyphenols and oleuropein. As a result, there haven’t been any successful humans studies to reliably link olive leaf to fat loss – meaning Olive Leaf doesn’t appear to promote fat loss in humans. It also has to be noted that all of the studies that show positive results were conducted on rats. The most significant unsuccessful study was conducted by de Bock et al.,. They aimed to determine the effectiveness of Olive Leaf Extract on insulin sensitivity, which in theory would have a positive effect on fat loss too. While the results of the study showed that Olive Leaf Extract had improved insulin resistance in overweight men, it was unable to promote fat loss. “There were however, no effects on interleukin-8, TNF-α, ultra-sensitive CRP, lipid profile, ambulatory blood pressure, body composition, carotid intima-media thickness, or liver function. Right, so we’ve established that Olive Leaf Extract isn’t reliable at directly inducing fat loss. But that doesn’t mean it’s useless. In fact, even in the study we mentioned above, the good news was that Olive Leaf Extract was able to improve insulin resistance – which is definitely beneficial for your general health. Due to Olive Leaf Extract’s ability to improve insulin resistance in overweight men , it seems clear that this nutrient can help prevent type 2 diabetes. Not only that, Olive Leaf Extract has shown to improve glucose homeostasis in individuals with diabetes in studies . So, in quick summary, it’s also capable of benefiting those with type 2 diabetes, as well as helping to prevent it. One clear benefit from taking Olive Leaf Extract seems to be an improvement in blood pressure; this was proven in a human study over a total of 6 weeks . A study conducted by Marugat, J et al., found that dosages of 30mg were effective in reducing the LDL cholesterol levels of 30 health volunteers. While official research doesn’t show that Olive Leaf is likely to cause any side effects, some writers such as Dr. Axe believe otherwise. Dr. Axe’s article asserts that Olive Leaf might cause low blood pressure (for those that already suffer from low blood pressure) and potentially stomach irritations too. Other sources such as Livestrong believe Olive Leaf Extract to be capable of causing headaches and low blood glucose; this website recommends seeking medical advice before supplementation. However, as we’ve mentioned, most of the clinical studies haven’t recorded any adverse effects. As Olive Leaf Extract isn’t as effective at helping you lose body fat as first hoped, we completed some research on scientifically proven nutrients that work. This is one ingredient you shouldn’t be surprised to see here. Almost everyone knows that Green Tea can help you burn fat – even those that don’t like the taste of it! As a result, it’s probably become coffee’s main competitor in the hot beverages market, with massive chains such as Starbucks even offering it. While everyone knows Green Tea is beneficial, you might not know how it works. Basically, Green Tea contains high amounts of catechins; this has proven to deliver thermogenic effects and boost your metabolic rate in countless studies. The reason why Green Tea Extract is added to fat burners, is because it contains more concentrated amounts of these catechins. Basically, you would have to consume tons of green tea to obtain the same amount as a few pills. So it’s pretty clear why many prefer to get optimal dosages of GTE into their systems through these supplements – and you can continue safely drinking Green Tea throughout the day too! As a result, it’s a ‘no brainer’ to add Green Tea Extract to your diet when aiming to lose the pounds. As we’ve mentioned, there are tons of successful studies involving Green Tea Extract and fat loss. But a study conducted by Wang et al., remains a significant one. They basically set out to determine whether Green Tea Extract was responsible for the fat loss of participants by giving different groups varying dosages. It was found that dosages equal to (or higher) than 500mg Green Tea Extract was optimal for fat loss in human subjects. In case you don’t know, Cayenne Pepper is capable of raising your body temperature and heart rate upon consumption, making it another effective thermogenic. As a result, we’re confidently listing this as another better alternative to the unproven Olive Leaf Extract. 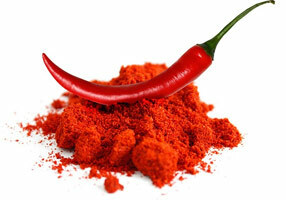 You should already know that it’s the ‘spice’ levels of Cayenne Peppers which help deliver its thermogenic effects. Well, capsaicin is the compound responsible for this (just to confirm, it’s what makes chilli peppers spicy) . As Cayenne Pepper Powder contains concentrated amounts of capsaicin, it’s going to deliver more benefits than if you simply added chilli to every meal you consumed; this would be a problem if you’re not a fan of spicy food anyway. For this reason, it’s easy to see why many bros prefer supplementing Cayenne Pepper Powder through fat burner supplements. 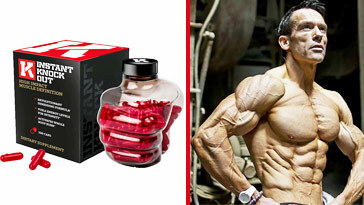 A study carried out by Pilou et al., proved that capsaicin promoted fat loss, without causing any adverse side effects. They basically examined the effects of capsaicin dosages as small as 2.56mg per serving in 19 healthy, subjects. The results showed that even dosages as little as 2.56mg per serving successfully promotes fat oxidation. There’s no denying that both Olive Leaf and Olive Leaf Extract delivers many benefits to improve your general health; studies have shown that they’re capable of improving your blood pressure and cholesterol levels, among other things. However, Olive Leaf can’t be seen as reliable when it comes to promoting fat loss. Why? Because there simply hasn’t been enough human trials to back these claims. Ultimately, we believe that tried-and-tested thermogenics such as Green Tea Extract and Cayenne Pepper Powder are a much better option. It’s hard to argue against these, due to the wealth of clinical research backing them. If you don’t fancy drinking tons of Green Tea per day, or adding Cayenne Pepper to every meal, you can consume these nutrients easily in fat burner supplements. Pinelli, P. Quali-quantitative analysis and antioxidant activity of different polyphenolic extracts from Olea europea L. leaves. Jrnl of Com Sci. 2000: 39 (2): 71–83. de Bock, M. Olive (Olea europaea L.) Leaf Polyphenols Improve Insulin Sensitivity in Middle-Aged Overweight Men: A Randomized, Placebo-Controlled, Crossover Trial. PLoS One. 2013; 8(3): e57622. Wainstein, J. Olive leaf extract as a hypoglycemic agent in both human diabetic subjects and in rats. J Med Food. 2012 Jul; 15(7): 605-10. Castañer, O. Protection of LDL from oxidation by olive oil polyphenols is associated with a downregulation of CD40-ligand expression and its downstream products in vivo in humans. Am J Clin Nutr. 2012 May; 95(5): 1238-44. Marrugat, J. Effects of differing phenolic content in dietary olive oils on lipids and LDL oxidation–a randomized controlled trial. Eur J Nutr. 2004 Jun; 43(3): 140-7. McCarty, M. F. Capsaicin may have important potential for promoting vascular and metabolic health. Open Heart. 2015; 2(1): e000262. Pilou, J. Acute Effects of Capsaicin on Energy Expenditure and Fat Oxidation in Negative Energy Balance.